When we hear the word Bamboo, we don’t think of “soft, luxury or comfort”. Bamboo plants are strong, tough and only recently have begun to be made into fabrics. Yet, bamboo fabrics are softer than egyptian cotton and safer for the environment. Bamboo fabrics have been taking the bedding market by storm in the past few years. 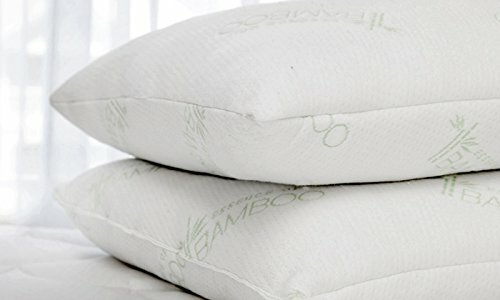 From bamboo mattress protector, bamboo duvet to bamboo pillow and even bamboo underwear. If you’re thinking of replacing your current bedding with bamboo bedding, you won’t regret it. Not all bamboo bedding are created equal! Please keep your eye in Spring® textile, as a leading factory of bamboo bedding in China, we are held to very high and strict standard. You can find any bamboo bedding you want in our factory. Such as Bamboo Mattress Protector, Bamboo Pillow Protector, Bamboo quilt, Bamboo pillow, Bamboo blanket.They are all knitting- laminating- cutting- sewing- lab testing- checking- packaging by ourselves. We have very restrict quality control. Our in- house QC system, distinguishes us from other manufactures, ensures each piece to be perfectly made and well packaged. This entry was posted in Spring Share and tagged bamboo bedding supplier, Heimtextil Frankfurt, mattress protector supplier, natural bedding supplier by admin. Bookmark the permalink.